1 isle of wight | This Blog Rules | Why go elsewhere? This famous festival brought us some of the world’s best known songs, among them Jimi Hendrix’s electrifying and disturbing version of The Star Spangled Banner. 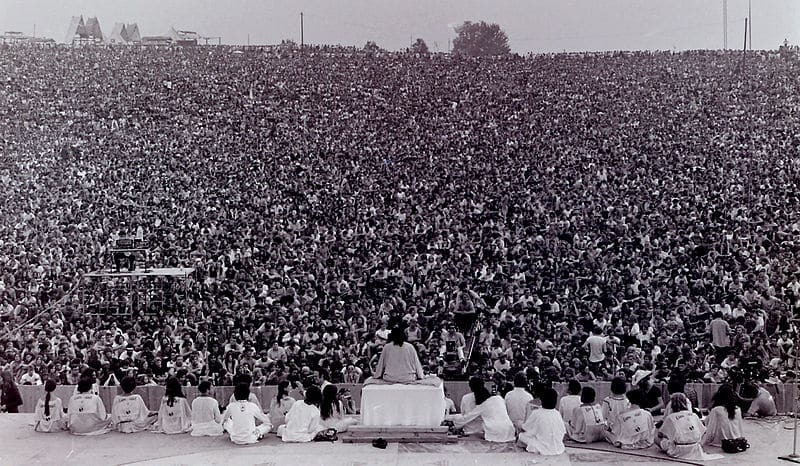 However, what many people don’t know is that while this was a huge concert very few people were there to see Hendrix send out his message (whatever the heck it was) at 9am on a Monday morning. Still, at least he was there. John Lennon was in Canada and was refused a US entry visa, while Bob Dylan was looking after one of his children, who was in hospital over the Woodstock weekend. It is estimated that a groovy 90% of the audience smoked marijuana, but strangely only 33 of the 400,000 hipsters present were arrested on drugs charges. When the food ran out a local Jewish community made hundreds of meat and pickles sandwiches, sending them over to the hungry hippies with the help of nuns.